Attorney General Schneiderman led a coalition of nine States, the District of Columbia, and five cities in filing briefs with the U.S. Supreme Court in support of EPA’s Rule. The rule addresses the problem of harmful air pollution that travels across state lines by setting emission levels for power plants in “upwind” states that contribute significantly to the degradation of air quality in “downwind” states. In 2012, a divided panel of the U.S. Court of Appeals for the District of Columbia Circuit invalidated the rule. The coalition, led by Attorney General Schneiderman, successfully urged the Supreme Court to review the appeals court’s decision. In the 6-2 decision issued today, the Supreme Court reversed the ruling of the Court of Appeals, agreeing with EPA, New York, and other supporting parties that the Clean Air Act’s “good-neighbor” provision expressly requires EPA to regulate air pollution from power plants in upwind states when those states fail to propose adequate plans of their own to control air pollution that crosses state lines and harms downwind states. The Supreme Court further held that EPA’s approach to determining each state’s relative responsibility for reducing such pollution was a permissible one under the Clean Air Act. The rule addresses the emission of two harmful pollutants, sulfur dioxide and nitrogen oxides, from power plants in 28 states. These pollutants can travel hundreds of miles from their source and contribute to soot and smog that endangers the health and welfare of New Yorkers. According to the American Lung Association’s “State of the Air 2013” report over 4.4 million residents of the State experienced levels of smog pollution that endangered their health. The Association’s report ranked New York City 17th among the 25 U.S. cities that are most polluted by smog, despite New York’s extensive efforts to regulate pollution from its own power plants. 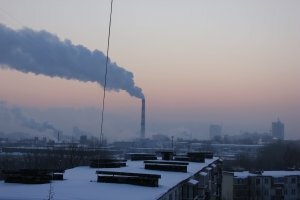 When it issued the Cross-State Air Pollution Rule in 2011, EPA estimated that within three years, the rule would help reduce power-plant emissions of sulfur dioxide by 73 percent and nitrogen oxides by 54 percent from 2005 levels, preventing thousands of premature deaths and hospital visits. In addition to New York, the coalition urging the Supreme Court to reinstate the rule consisted of the states of Connecticut, Delaware, Illinois, Maryland, Massachusetts, North Carolina, Rhode Island, and Vermont, the District of Columbia, the cities of Baltimore, Bridgeport, Chicago, New York, and Philadelphia. This matter was handled by Solicitor General Barbara Underwood, Deputy Solicitor General Steven C. Wu, and Assistant Solicitors General Bethany A. Davis Noll and Claude S. Platton. From the Attorney General’s Environmental Protection Bureau, Assistant Attorneys General Michael Myers and Andrew Frank worked on this matter, led by Bureau Chief Lemuel M. Srolovic. Subject: LongIsland.com - Your Name sent you Article details of "A.G. Schneiderman Applauds Supreme Court Decision Reinstating EPA Rule Targeting Interstate Air Pollution"